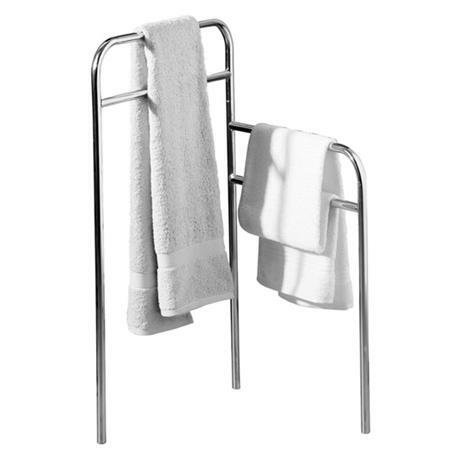 This high quality chrome towel rail has an individual style and design that adds to the character of a bathroom. The unit is free floorstanding and beautifully finished in chrome. There is ample space for multiple towel storage.